Strange things happen in a revue theatre. The dancer Maria seems to be hunted by an invisible admirer. When the body of a probable FBI agent is found in a trunk the police asks FBI man Joe Como for help. Como gets interested in the revue theatre and an ominous transport firm soon. When he is receiving mysterious threatening letters he is sure that Dr. Mabuse has risen again. But what is going on at "Enterprise X" so that both the goverment and the mad genius in crime are interested in it? 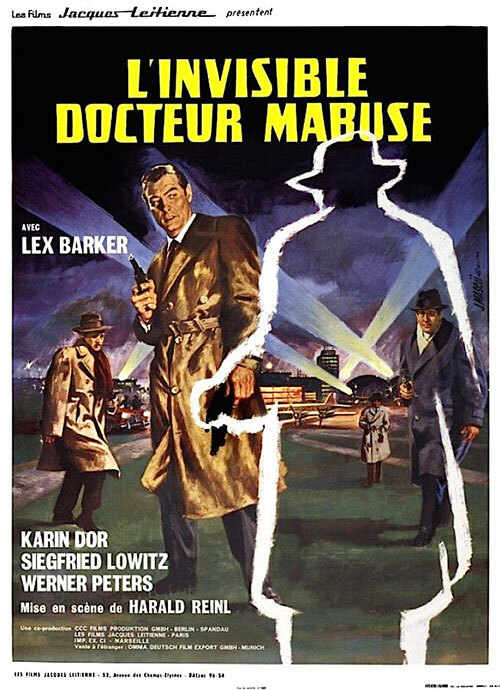 1 Response to "The Invisible Dr. Mabuse (1962) Harald Reinl"
Thank you so much for posting this. I appreciate it very much. You are the greatest!